Graham Young, area general manager of Johnson Controls Building Efficiency UK Ltd, officially retired on 31st December 2016. 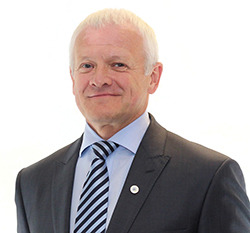 He was president of the British Refrigeration Association (BRA) from 2004-2006, vice president for two years before that and past president for two years afterwards. As chairman of the BRA Contractors Section he also worked on many task force led projects from when he was first involved with the BRA in the mid-1980s. The association says it is very grateful to Graham for his contributions to the BRA over 30 years and wishes him a well-deserved and happy retirement.